Your living room is the heart of your home, the place where you both relax and entertain. Because it wears so many hats, the living room tends to have more furniture and accents than almost any other room in a home. The comfy-yet-attractive pair of recliners that fit with the handsome bookshelf you’ll place within arm’s reach of your sofa’s spotlight position under a right-height reading lamp—it’s all about landing the right blend of pieces for your style of living. To fill this tall order, you need to shop a furniture store with ample selection and reasonable pricing. Look to us. 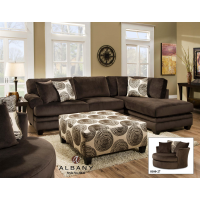 From sofas and recliners to coffee tables and TV cabinets, we offer a wide variety of designs, upholstery, and finishes. So, however you live your life in this most versatile of rooms, we’ll help you do it in style.